During the holidays and through out the year I’ve encountered many companies that have amazing products to offer but are totally stuck in a time warp, as in how they really need to be marketing their amazing products and services. A company can have the most amazing, life altering product and or service to offer but if NO ONE knows about these services and products it’s irrelevant. Technology has surpassed the time when a business could advertise a company in a small local free digest, take orders by telephone at your location or office. As a tech savvy society it is imperative that our companies grow with technology and not continue to hold on to old ways, now matter how comfortable. We have also moved past the times when it was OK, to just have a website. Needless to say, if you don’t even have a website, there is quite a bit of catching up to do. I know that getting started if you are not on board with technology can seem like a daunting task. 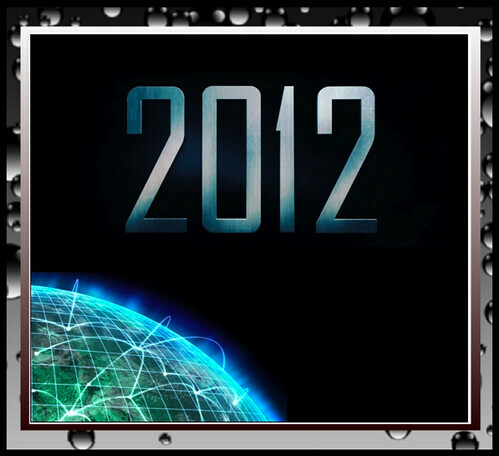 So a few steps that you can take to get on board with Internet Marketing in 2012. Blog: A blog can be used in instead of a website or it can use do compliment a traditional website. The most amazing thing about a blog is that it is serious GOOGLE JUICE, which means the format of blog can act to get pretty good exposure and increase Google ranking. Blogs, as opposed to websites offer the ability to provide an ongoing flow of new content. That is of course depending on how much you post new content to a blog. The continuous posting of new and fresh content is one of the things that Google Bots search for on any web presence. So if you don’t have a blog, what are you waiting for start blogging. I have have used practically every blogging format available, so I say go straight for the best and that’s WordPress. It is a great format and Google LOVES WordPress. WordPress.com is hosted by WordPress and is really pretty easy to get started. Then there is the full blow content management system of WordPress.org, which would be hosted by you. Take a look at the Tutorial below, it will give you some tips on WordPress. It is a recorded webinar so it is a little long but it will give you everything needed to get started. Facebook Personal Page: I started my personal Facebook page as a way to connect with friends and family but it really has become a huge tool for networking. So now I use it 85% for networking 15% for connecting for friends and family. Facebook personal pages are for personal /networking use and there are Facebook Business Pages used to set up your business presence. You need a Facebook personal page before you can set up a page for your business. Facebook Business Page: Is a HUGE part of any Internet Marketing Strategy. A Facebook Business Page is a GREAT compliment to your Blog. The page allows you an avenue to share your blog posts and additional information with people that follow your page. Also, people tend to search out Facebook Business pages sometimes in lieu of a traditional website, to find out more information about your company. So by NOT having a Facebook Business Page for your company you could potentially miss out on an opportunity to share information about your companies products and services. So if you don’t have a Facebook Business Page its very important to your company to capitalize on this FREE platform to promote your company. Remember, potential customers could be searching for your company on Facebook, so you want to make sure they are able to find you! So Create your Facebook Page today! Twitter: Is an often overlooked resource in creating a new social media strategy. Twitter is a great way to gain company exposure, increase brand awareness and potentially sales leads for your company. You can also share blog posts by way of Twitter. Keep in mind that Twitter is NOT an avenue to shove your message at followers but more of an avenue to engage and share information that is of value to your followers. Twitter rocks and you should definitely get started with utilizing this powerful platform . Google+ Profile: Is a new social media platform to share content and interact with people. Although it’s still new, the potential is huge as is any Google product or service. As an early adopter of social media platforms I strongly encourage getting acclimated to this platform by setting up a profile. Google+ Pages: Pages are also really new but the potential is huge as I’m sure Google has huge plans for this new platform that is gaining popularity. One of the things that is really powerful about Google+ is that it’s a Google product and Google is known to really have exceptional service. Google+ is now starting to integrate posts from personal and pages in search results. So Google+ will have a huge effect on SEO. As usual, I welcome any and all comments, good, bad, ugly or indifferent. As a small business owner and Internet Marketer with a Masters Degree in Internet Marketing the goals for the business is EXPOSURE, BRAND AWARENESS & INCREASED SALES. When starting the business after a few failed attempts at effective marketing I knew that there had to be a different route planned for this venture. So setting off in a different direction by taking the skills learned along the way in combination with the cutting edge Internet Marketing Strategies learned while in one of the most cutting edge technology focused Universities in the country, the journey started. Any person in business now understands that things have changed drastically in terms of business exposure, advertising and marketing. Due to Social Media marketing, business will never be the same. 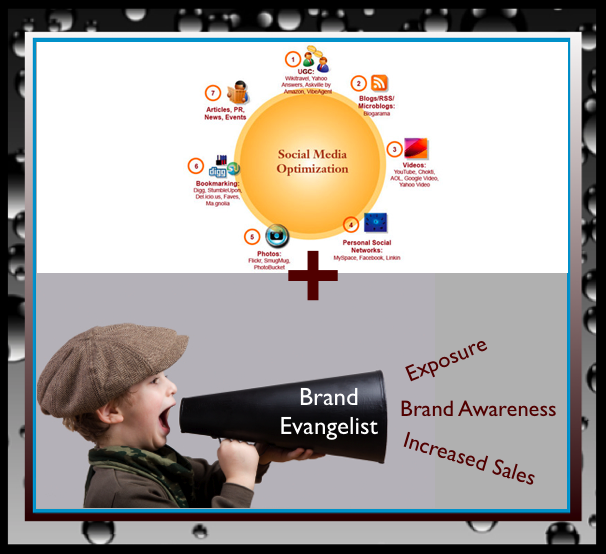 The goals are still to increase exposure, brand awareness and sales. However the methodology behind accomplishing these goals have changed. Most importantly they have changed drastically within the last year due to the popularity of social media. At one time, just a short while ago it was enough to have a website and apply SEO & SEM strategy. These methods are no longer enough. This is primary due to search and the integration of social media that have pushed its way into search. So now we are looking at a merging of sorts, which involves Search Engine Optimization and Social Media to create Social Media Optimization. SMO or Social Media Optimization is the art of taking aspects of traditional SEO and Social Media to optimize the entire online presence. This is my marketing strategy and it rocks for my company. This strategy is very close to being perfect and it has done well by the company, in allowing amazing brand exposure for the business. Exposure continues to come up in conversation because that is the goal of any business. Companies can offer the most amazing services or products available and if there is no exposure it is considered a FAIL. This is especially important to a new business. Social Media has opened the door to so many users, some recreational, some totally business and some a mixture of the two. Social Media goals for businesses and individuals vary drastically. Individuals involved with social media for recreation usage have very different needs, as there is nothing riding on the outcome of their social media exposure. This is a direct contrast to the goals of business social media exposure. If individuals do not get exposure for themselves, there is no issue; however, if businesses do not meet their goals of effective exposure this could lead to the demise of a business. Should companies that have businesses driven upon a high level of exposure be judged the same as an individual? In Social Media oriented industries, companies that push their message are marketing their company, which is the goal of any organization that would like to enjoy any measure of success. On the other hand people that push a message of useless content, may be viewed differently. How can the usage of social media that drives a company with the goal of increasing sales be view the same as an individual pushing useless content to gain reward? The ability for any business to grow is contingent upon many factors, none of which include minimizing brand exposure, strangling the social media optimization process or silencing brand evangelist. EXPOSURE, BRAND AWARENESS AND INCREASED SALES. Do we have it all wrong? Is Freelancing the way? I have been reading so much about the economy, jobs or lack thereof. Could it be that we have it all wrong, should we be looking for traditional employment options or should be exploring alternative choices? Things in the United States have change so drastically is it even plausible to think of employment in the same way as we have in the past? Think about the many things that have changed with the economy, technology, social media, cloud computing and more. Theworkplace is so very different than it use to be. To take things a bit further, the world is so much different than it use to be just a few years ago due to these technological advances. The traditional ways of doing practically everything has changed by the use of advanced technologies and Social Media. Could it be that we are living in a world so different that we have to shift our beliefs from what we traditionally thought of as the norm to accept different ways of doing things, in the workplace? Organizations will soon have to adapt their expectations and methodologies to reflect the changes that are literally happening as we “speak”. Companies may no longer need to have millions of people on staff for an indefinite amount of time. It could be that technology growth allows for employees on an as needed per project basis. Hence the rise of freelancers and the waves of people that are embracing non-traditional employment opportunities. It seems that due to some of the changes in traditional employment and the rise of freelance opportunities, there are some people that will only accept freelance positions. It is said that freelancing offers some the opportunity to balance work and life. As time progresses and the workplace becomes more tech-focused and people become more mobile it could be where employment is heading. Thinking about starting a business? NOW is the time! I often discuss going into business because I a huge advocate of having multiple streams of income. Yeah..yeah..money isn’t everything but It sure does help you pay the bills. This is one of the reasons that I never put all of my eggs in one basket as my grandmother use to say. Some of he hottest businesses were started in tough economic times, from basements, in dorm rooms and with a very tight budget. I posted a huge video collection of Videos that Entrepreneur’s need to watch recently and it was a big hit. So watch that again and read more about some of the Best Industries to venture into now. As usual, if you have any comments, good, bad, ugly or indifferent feel free to leave them here, chime in on Twitter or post directly to my Facebook Wall. I try to write about things that I’d like to read on blogs and things that I know interest my readers. Sometimes I venture off the track, 🙂 . I’ve always had an interest in business ventures because they’re fun, you can make some Cha-ching and most importantly NO JOB is guaranteed. Did you hear that NO JOB IS GUARANTEED! So I was never one to place myself in a position to be at the mercy of one source of income. All you need is for your boss to have a bad day and your financial future could be screwed every which way from Sunday. Ummmm been there, a time or two. What has prevented the screwed every which way has been my belief that one should never depend solely on one source of income. This is especially important in this economy. So with all of that said, if you are thinking of starting, expanding or partnering in a business and or entrepreneurial venture check out the 10 videos that should help you along. I saw this information posted on INC and couldn’t wait to share it with my readers. As usual, I welcome comments, good, bad, ugly or indifferent. So feel free to post here or leave them directly on my facebook wall. Can a “Green” Business Also Be a Profitable One?